Overview: the study of ecology, like many disciplines within science, is ladened with a vast number of new words. Many of these words represent ideas that cannot be seen e.g. 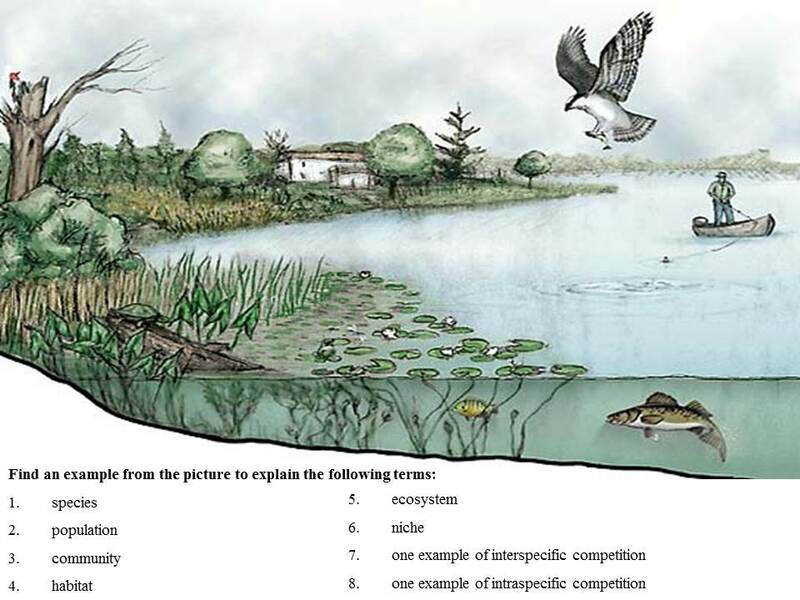 niche, ecosystem and abiotic factors and so require careful teaching and using examples to illustrate these ideas can help. Check out our pages on teaching literacy here. The vocabulary of ecology is trying to describe the different levels of organisation within an ecosystem i.e. organism, species, population and community so that interdependence and competition between these groups can be explored. Key concept: there are different levels of organisation within an ecosystem that range from individual organisms to the whole ecosystem. Ecologists are interested in studying the relationships both within and between these groups. This ecosystem in a bottle is a useful framework to begin thinking about ecosystems. Video clip to assess whether students understand key ecological terms. Students watch the linked video of the Lion King. They identify and list in their books examples to explain the following terms: species, population, community, habitat, ecosystem, niche, abiotic factor, biotic factor, competition. You can adapt this activity to assess a variety of ecological terms. What is meant by interdependence and how is it different to cooperation? How is a population different to a community? What is needed to create a self-sustaining ecosystem in a bottle?